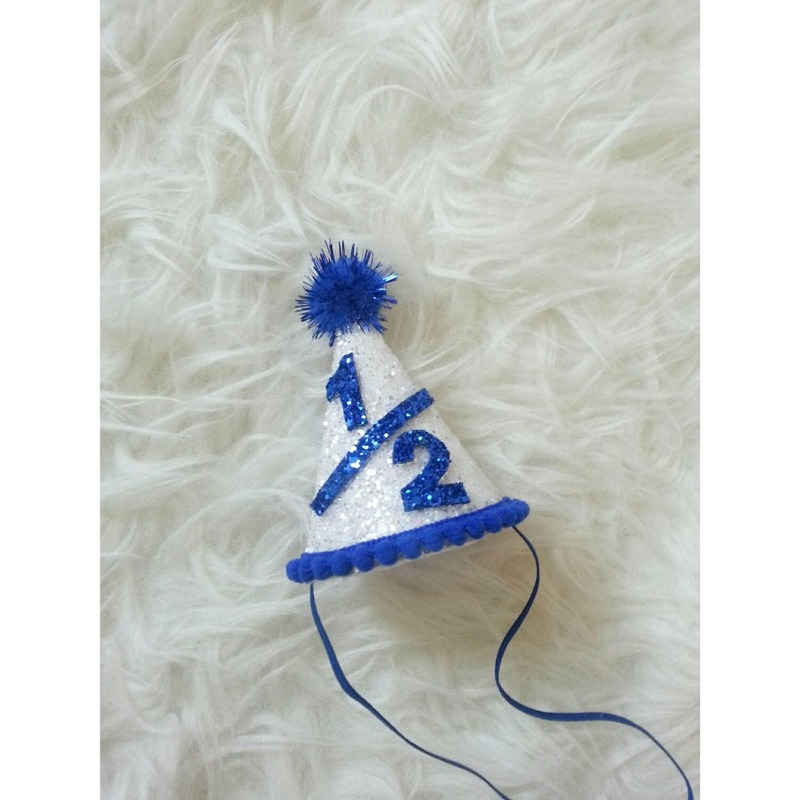 Glittery 1/2 Birthday Mini party hat. Shown in metallic snow with a metallic royal blue 1/2 accented with royal blue pom and trim. This was so darn adorable and I cant wait to use it!